Lush and calm, the bed set brings a sense of splendor to the bedroom. The leather headboard with natural and walnut veneer is unique in its sophisticated design and contemporary style. 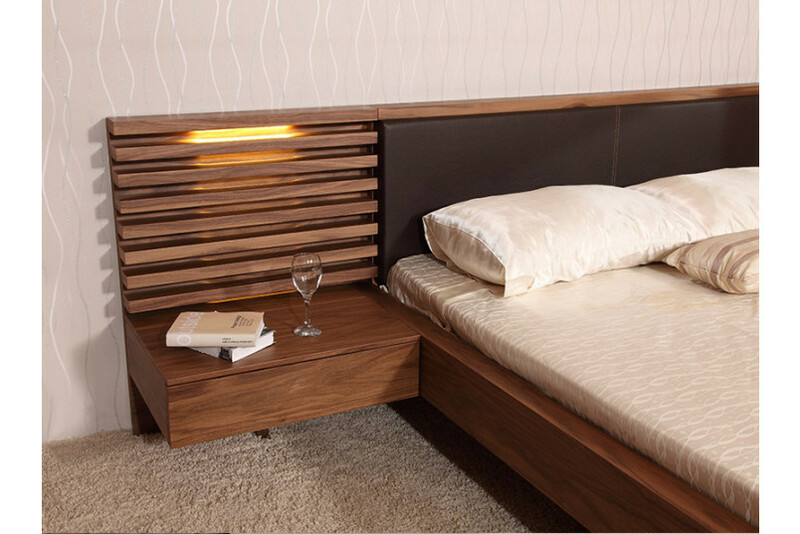 Raks Bed incorporates LED technology in top quality surfaces. A blend of natural materials, neutral backgrounds, and warm wooden tone, this bed creates an environment which is soothing both to the eye and the soul.